Stefan was commissioned by the Sheffield Assay Office to make a piece of silverware. This "Little Gems" commission was offered as part of the Starter Studio programme for emerging designer silversmiths, which is run by Yorkshire Art Space at Persistence Works, Sheffield. 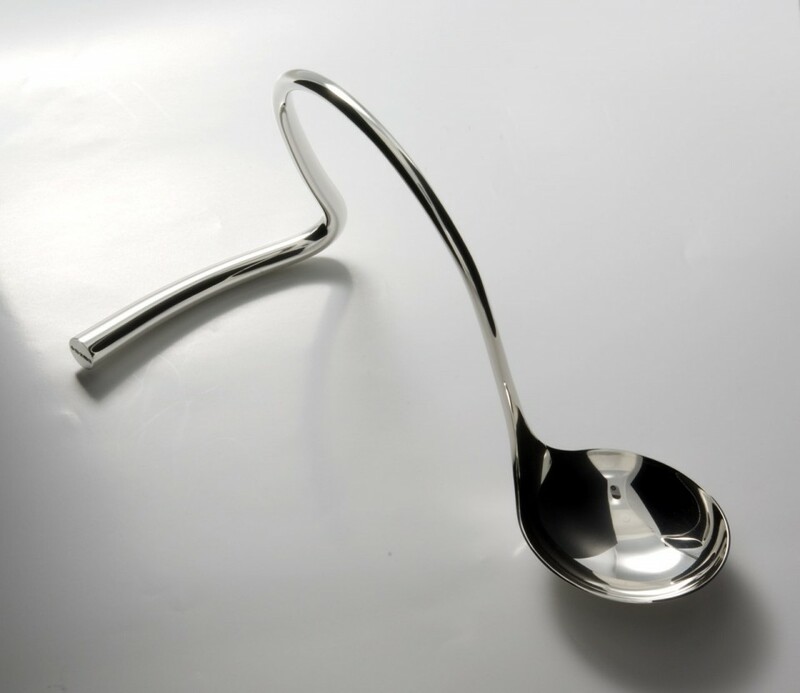 Stefan's fascination with spoons and interest in forging led him to design and make this sauce ladle. Aside from suggesting a fluidity of form, the design also has practical benefits. The self supporting form of the handle keeps the contents of the ladle bowl safely upright, thus negating the need for a separate vessel. The ladle bowl could be filled with raspberry coulis for drizzling on a dessert. Also, the sweep of the handle allows the ladle to be used in conjunction with a larger vessel, for soup or stew perhaps. This piece forms part of Museums Sheffield metalwork collection. And can currently be seen alongside other Little Gems work past and present.